Repair facility enrollment is open. Mitchell International will serve as network administrator. 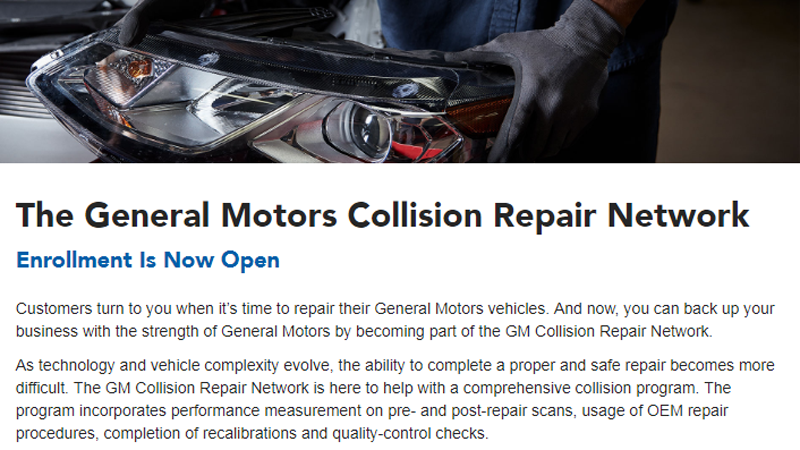 According to GM, its network is designed to help drive customer safety, customer satisfaction and strong results for dealers and independent collision repair facilities.